Less Wire – More Music Cut the wires and make your favorite music sound even better with the Jabra HALO wireless headset. 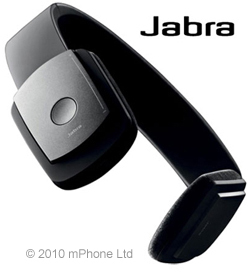 It connects easily to your mobile phone through stereo Bluetooth and enables you to stream music wirelessly. You can even make and take calls wirelessly.